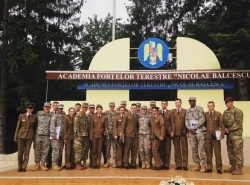 Each summer, EKU ROTC Colonels Battalion sends cadets overseas for the Culture Understanding and Language Proficiency (CULP) program. For these ROTC cadets, the world became their classroom. This year, two cadets from Eastern participated in the CULP program. Cadet Katherine McManus (Pre-med junior from Berea) studied in Romania and Cadet Dylan Jernigen (Agriculture/Animal Science senior from Oxford, Ohio) was in Sao Tome, Africa, doing humanitarian work and teaching English. Participants experience up to three different venues during immersion, including humanitarian service, host nation military-to-military contact, and education on the social, cultural and historical aspects of the country. 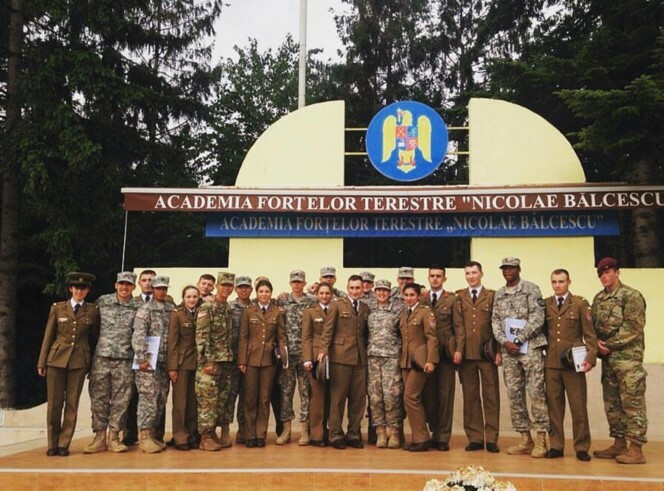 This program allows cadets to gain cultural awareness and foreign language proficiency skills. Learn more about the CULP program at https://www.facebook.com/ArmyCULP/.